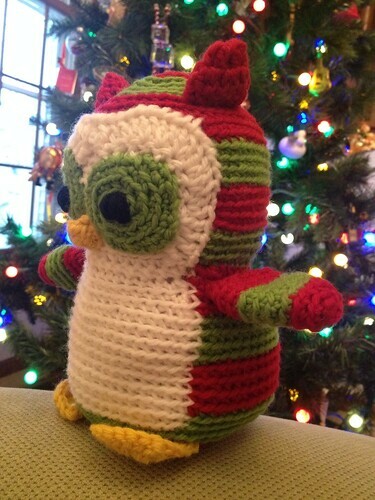 A Christmas Owl! Stacey had some kits in her shop a few weeks ago, and I snatched one up with the birthday boy in mind. 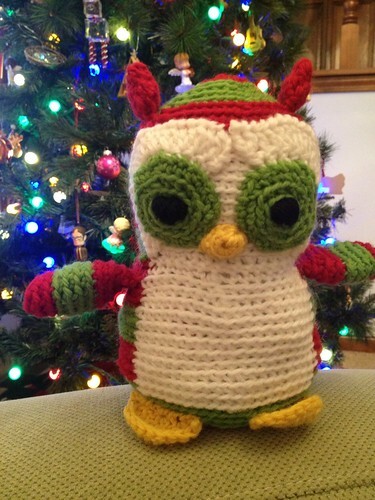 I have a second owl kit, which I plan to make sometime this month. 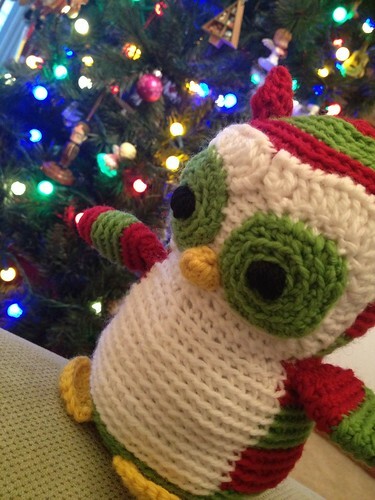 I think I may have to keep that one for myself - he will be the perfect addition to my owl-themed kitchen at Christmastime!